The idea of “peace in the Middle East” is one that might seem far off today, but it wasn’t the case nearly 40 years ago with the signing of the Camp David Accords. 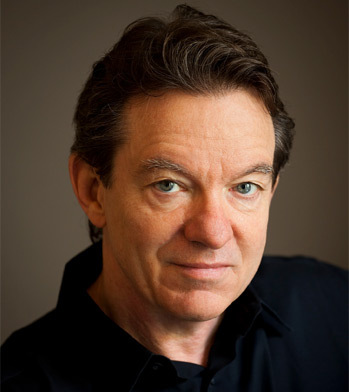 “Peace is possible in the Middle East, and Camp David proves it,” Lawrence Wright said. Wright explores the negotiations that led to the Camp David Accords in Thirteen Days in September: Carter, Begin and Sadat at Camp David, which is the Chautauqua Literary and Scientific Circle selection for Week Eight. Wright will discuss his work today at 3:30 p.m. in the Hall of Philosophy for Week Eight’s CLSC Roundtable. In addition to Thirteen Days in September, Wright is the author of The Looming Tower: Al-Qaeda and the Road to 9/11, which won the 2007 Pulitzer Prize for General Nonfiction, and Going Clear: Scientology, Hollywood, and the Prison of Belief, which was recently adapted into a documentary by HBO. He also serves as a staff writer at The New Yorker. Sherra Babcock, vice president and Emily and Richard Smucker Chair for Education, said Wright is an “amazing author,” and she knew as soon as she read the book it was the right choice for Week Eight. For younger people, the notion of a peaceful Middle East might seem farfetched, especially in today’s political climate, Babcock said. But for Babcock and many others of her generation, there was “genuine hope” the Camp David Accords could help untangle the Gordian knot of problems in the Middle East. The negotiations at Camp David were a “major milestone” for the Middle East, and they represent an important part of the region’s history, Babcock said. While Week Eight focuses on the region “Now and Next,” Babcock said the piece of history that Wright’s book covers is an important one to consider and remember. Wright’s book gives a day-by-day look at the peace negotiations between Israeli Prime Minister Menachem Begin and Egyptian President Anwar Sadat. U.S. President Jimmy Carter oversaw the negotiations, which led to the Egypt-Israel Peace Treaty in 1979. Begin and Sadat were awarded a shared Nobel Peace Prize in 1978 for their efforts. Despite the events taking place nearly 40 years ago, Wright said he began to realize there was a time limit when he started writing Thirteen Days in September. Luckily, Wright was able to reach out to most of the major players in the events, including Jimmy and Rosalynn Carter, who he visited in Plains, Georgia. He also interviewed the surviving members of the Egyptian and Israeli delegations. Wright said this process was helped by Gerald Rafshoon, who had served as President Carter’s communications director. Most of the people who interviewed were more than willing to talk, Wright said, because they see the Camp David Accords as one of the greatest contributions they’ve made with their lives. Looking back on it, Wright said, he’s glad he started the project when he did. The book actually spun off from another artistic endeavor Wright was working on: a play that portrayed the events of Camp David that he was writing for the Arena Stage in Washington, D.C., aptly titled Camp David. Rafshoon had approached him about writing the play, but the book was borne out of his own research, Wright said. “In the process of writing the play, I decided I would treat it just as I would a New Yorker article or a book: I would research it,” Wright said. As he got deeper into the research, he began to realize that there wasn’t a book that detailed the events at Camp David for the “general reader.” He found one book by a former State Department Official, William B. Quandt, but said it was very much a diplomatic history and that Camp David didn’t appear until 200 pages in. Wright wanted to create something more accessible. Wright said one of the hardest and most interesting parts of writing Thirteen Days in September was carefully curating the story’s chronologies. He said, as a writer, he’s always looking for structure, and chronology is a great way to provide that structure. But the events at Camp David presented him with a particular challenge, Wright said. With this narrative, he was working with three chronologies: the 13 days at Camp David, the recent history of the modern Middle East, and the “tectonic plates” of the Bible, Quran and Torah “that still operate on the modern imagination and drag these societies into conflict.” Wright said organizing these in a logical and linear fashion was tricky. Also tricky were the preconceived notions and stereotypes about the Middle East that Wright had to combat. He said these easily connect with the CLSC’s vertical theme of “Truth and Consequences” and what that means for the Middle East. Wright was excited to be invited to be a part of the CLSC and that he’s open to talking about whatever the audience would like. He said one element of his experience that may be different from other writers is that he writes in many different forms: journalism, books, plays, movies and even a one-man show. He’s now started working on television as well. Wright said this cross-pollination of different media has helped him learn how to tell a story, something he put into both the play Camp David and Thirteen Days in September. Babcock said Wright’s book and the events it recounts — and bringing it to an environment like the one at Chautauqua Institution — give her hope for a more peaceful Middle East, even when it can seem doubtful.